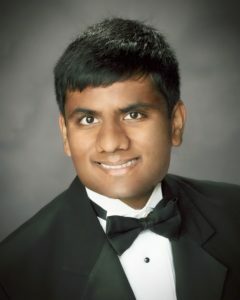 Executive Members - Green Kids Now, Inc.
Pavan Raj Gowda – Founder and Principal Lead Pavan founded this organization when he was only 8 years old. He is a very passionate environmentalist, and an author of two children books – “Two Tales from a kid“, and “Geckoboy – The Battle of Fracking“. At age 12, he became a professional member of NAAEE (North America Association of Environmental Education). He is a Climate Leader and Mentor, and also a member of American Association of Advancement of Science (AAAS). He served as the Principal Lead and worked along with others as a great team player. He founded the Green Kids Conference, and is a very dynamic public speaker. Pavan is a Certified Sustainability Associate of the International Society of Sustainability Professionals! Shanti Balaraman – President and CEO: As the president and the chief executive officer of the incorporation; her duties are to preside at all meetings of the members and of the board; shall have the general management of the affairs of the incorporation and sees that all orders and resolutions of the board are carried into effect. Shanti Balaraman is an accomplished IT professional, Cyber-Security and Environmental Sustainability champion, with more than 20 years of Enterprise experience. Shanti is passionate about Transformative Education in K-12 education system, with a clear vision on how to prepare students beyond their classroom, with the skillsets they need to be successful in the 21st century. She is dedicated to helping kids become “responsible” innovators, leaders, and citizens. Madhavee Buddhikot – Treasurer and Executive Director – Lead for Science Research, and Co-leads Jr, Scientists and Innovators competition: As a treasurer she manages the financial conditions and responsibilities of the incorporation, and co-leads our Science and Innovation program. 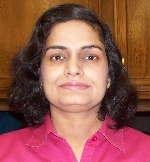 She holds Ph.D (Biochemistry) and is an experienced researcher. Currently, she is a Technical Support Lead at Molecular Devices, LLC. She is passionate about teaching science to kids. Vinutha Hosahalli – General Secretary and Executive Director – Lead for Environmental Art exhibit, and Co-Lead for Community events planning: As the secretary she manages book keeping and communications as assigned, and leads our awareness efforts at schools. She holds MS in Environmental Engineering. Experienced in water quality sampling/testing and waste water treatment. She has great research experience in Recycle & Reuse of biodegradable waste. She enjoys teaching kids. Sudha is a 20+ year Software veteran turned Radio show host. She has held several leadership roles in her job, including the Women’s forum. Her skills as a Software professional include on-hands programming, project management, product management, customer and vendor facing jobs. The radio show – “Tamizh Suvai”, is a business she owns which requires extensive sales talk, in-depth analysis and presentation of a topic over Air. Sudha believes that the world is moving at an incredibly fast pace in the industrial sector, while the natural resources are getting depleted and need to be conserved and replenished at a faster rate. The need is “now” to begin our efforts on environmental sustainability. 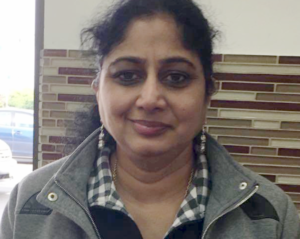 Jeyanthi is a biopharmaceutical professional with >20 years of experience in drug discovery, development and drug delivery. 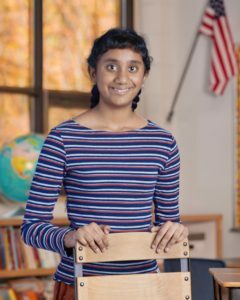 Jeyanthi has been passionate about the impact of human endeavors on Mother Earth and is a proponent of ‘Think Green in Everyday Living” to reduce our Carbon footprint. Over the last 10 years, Jeyanthi has participated and led the 4R initiative “Reduce, Reuse, Recycle and Rethink’ in a bay area nonprofit organization. Jeyanthi is very much interested in educating the children, our future leaders, about sustainability, reducing waste, treading softly to preserve our planet’s natural ecology and finding solutions to alternative sources of energy and plastic burden. 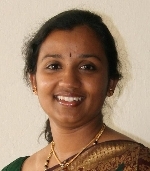 Jeyanthi has a PhD and Masters in Biochemistry from the Univ of Madras, India. 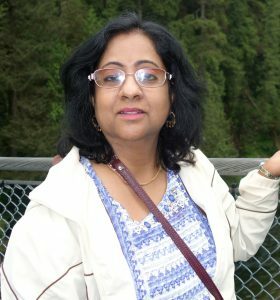 She moved to the US in 1990 for her post-doctoral research and since then lived and worked in several states in the US. During a 3yr sabbatical in Switzerland and travels across Europe, Jeyanthi noticed the conscious use of paper and plastic in most tourist locations and admired the vast measures taken by local governments to preserve their natural legacy. Jeyanthi realized the importance of imbuing environmental sustainability and adopting ‘Green’ measures from a grassroots level to protect and rejuvenate our natural habitat.